An elevator weighs 3000kg. What is its acceleration when the in the tension supporting cable is 33000N. Given that g = 9.8m/s2. M = 3000 kg g = 9.8 m/s T = 33000 a = ? Ma = Mg - T 3000 * a = 3000 * 9.8 - 33000 3000a = 29400 - 33000 3000a = - 3600 a = - 1.2 m/s . 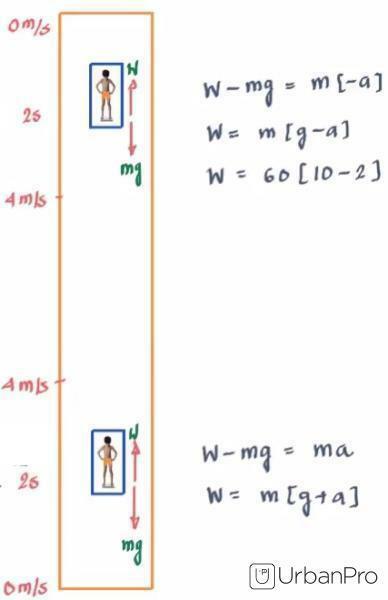 M = 3000 kg, g = 9.8 m/s ,T = 33000 a = ? 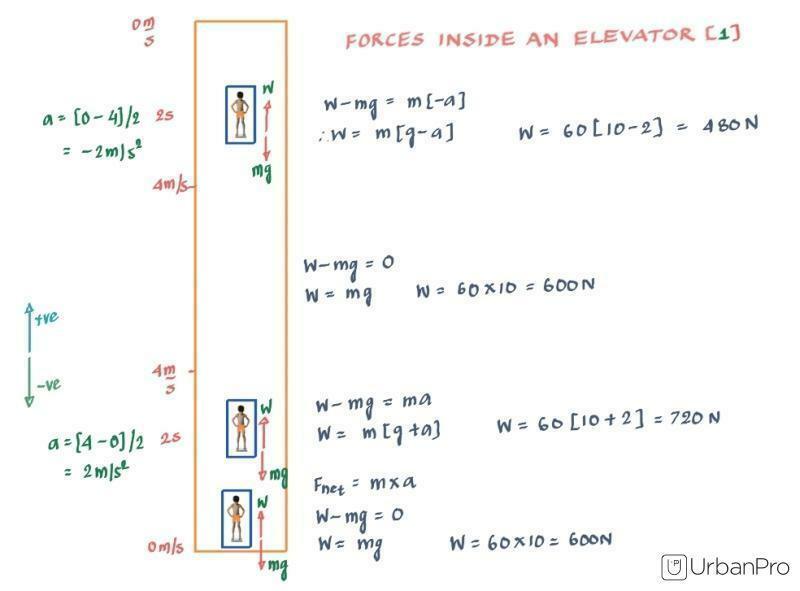 Ma = Mg - T 3000 * a = 3000 * 9.8 - 33000 3000a = 29400 - 33000 3000a = - 3600 a = - 1.2 m/s Therefore, the elevator will move up with an acceleration of 1.2 m/s. 33000-g.3000 = a.3000 With usual meaning of symbols. a negative means movement is downward & vice versa.